People who know me well know two things about me: I love retro robots and I love sweets. So when I started to see these fun paintings of robots and donuts on my Pinterest feed I had to find out who was behind them. A quick Google search revealed they’re by Eric Joyner, and this amazing pop art is his specialty. 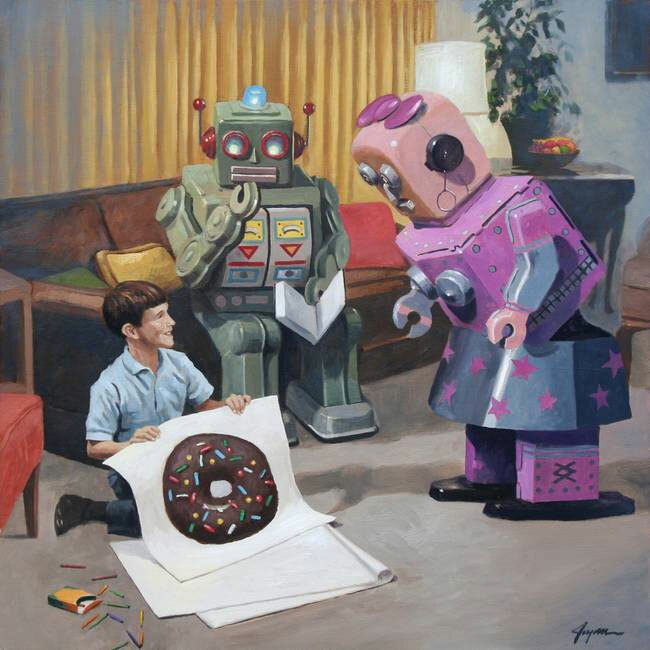 Eric’s quirky and fun art is sure to catch anyone’s eye with the anachronism of personified robot tin toys and larger than life donuts. But where do these kinds of ideas come from? Eric talks about it at length on his website, but the summary is this: after many years of painting he made a decision in 2000 to paint only things he enjoys. 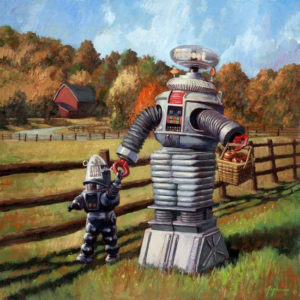 The most popular of those paintings were the ones featuring tin robots. After a couple years, he felt the paintings were good but were missing a nemesis. 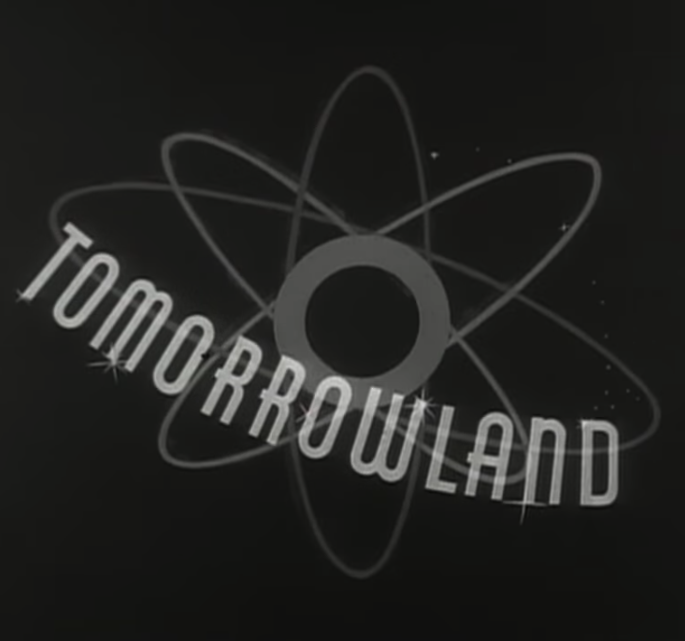 When watching the movie Pleasantville, where Jeff Daniel’s character paints a still life of a donut, something clicked. 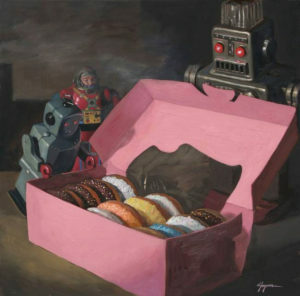 Not all of his paintings feature donuts, but the theme of vintage toy robots is consistent throughout. Their appearance inspires a nostalgic feeling in a lot of the paintings, especially when they feature vintage imagery of yesteryear. Eric lives in San Francisco where he actively paints, holds events, and shows his work in local galleries. His art is available online for purchase on Imagekind. 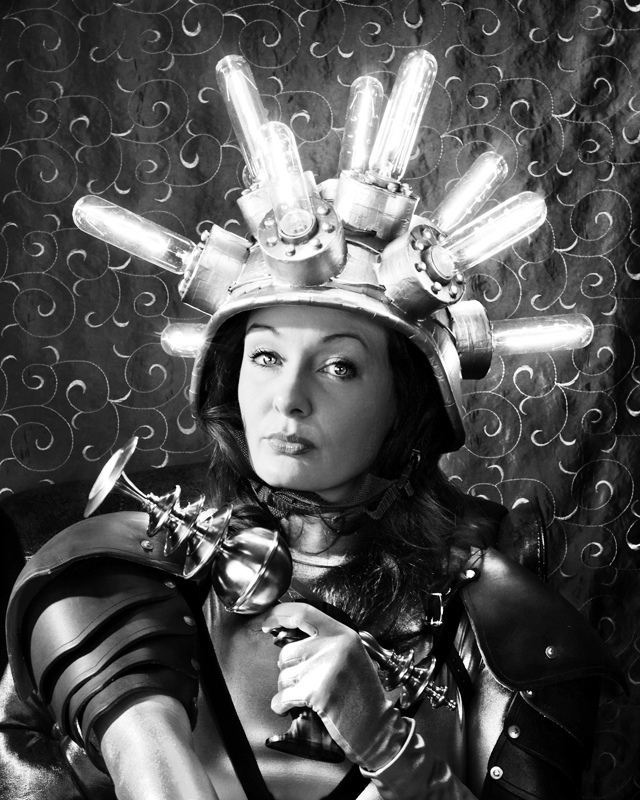 His website features an extensive gallery of his work. He has also released two art books: Robots and Donuts and also Robot Existentialism. 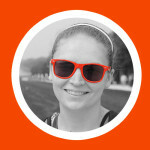 Check him out on Facebook, Twitter, or his website.